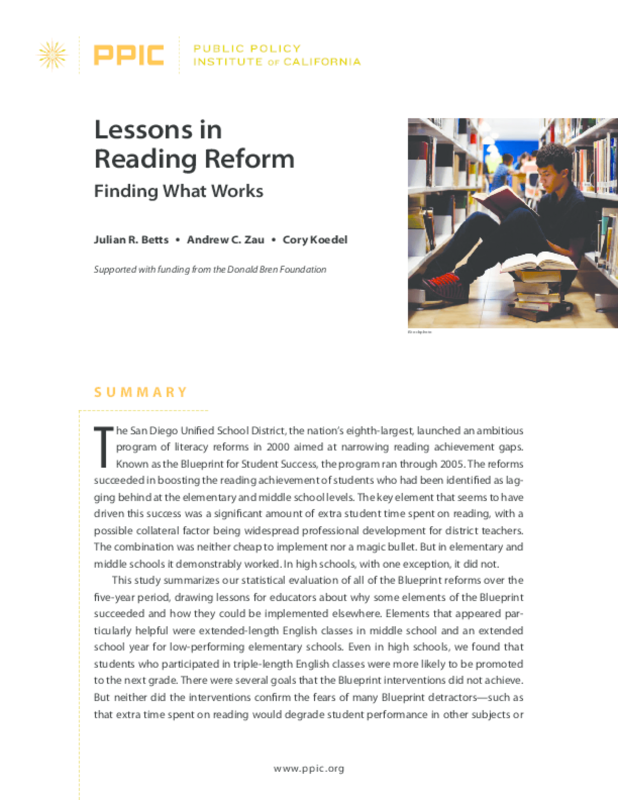 Evaluates elements of reforms designed to improve reading scores among students identified as lagging behind, including extended-length English classes and school years. Considers the role of teachers' experience, lessons learned, and policy implications. Copyright 2010 Public Policy Institute of California.